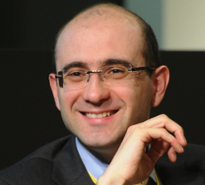 ALBERTO DI MININ is Associate Professor of Management at the Scuola Superiore Sant’Anna in Pisa and he is Research Fellow with the Berkeley Roundtable on the International Economy, University of California, Berkeley. He is Social Innovation Fellow with the Meridian International Center of Washington, DC. Di Minin is currently the Italian Representative on the SMEs & Access to Finance Programme Committee for Horizon 2020, with the European Commission. At Sant’Anna, Alberto is teaching innovation management and innovation policy, he is the Co-Director of the Executive Doctorate in Business Administration Program, the Director of the Confucius Institute of Pisa and of the Galilei Institute in Chongqing University. Alberto’s research deals with Open Innovation, appropriation of innovation and science and technology policy. Alberto writes for Nòva, Il Sole 24 Ore.